Our first meeting had gone well, but there was something different about our second meeting, the one at Rhinehaus. I left work in the suburbs and headed downtown to park. I walked through the Over-The-Rhine, the ever-evolving historical neighborhood on the edge of downtown, with streetcar tracks under my feet and skyscrapers in the distance. I walked into the bar on the corner Clay and 12th, greeted by friends both old and new. We sipped good beer, introduced each other and it was clear: we're going to be a part of something special. Not just a new pro sports team with bold ambitions, but a community that champions the team, the sport and the city we love. - Rendering of The University of Cincinnati's Nippert Stadium in configuration for an FC Cincinnati match. Image courtesy of FC Cincinnati. Let me back up a bit, explain a brief history of my interest in soccer. I used to hate it. I gave myself constant headaches from rolling my eyes at friends who corrected me with "fewhtbowl" every time I said "soccer" if the World Cup was going on. The roar of Vuvuzelas was particularly annoying and in 2010, I was more concerned with the Reds' chasing the playoffs for the first time in 15 years than I was with Spain battling the Netherlands in South Africa. That changed in 2011. My friends Dave and Josh had been working with me all summer, constantly listening to me as I droned on about the "superiority" of America's pastime to that of soccer. A sport people only seemed to care about every four years when it was "trendy" again. Through their generosity, I was able to attend a Columbus Crew game. As soon as we entered the stadium, it was clear things were different. The "Hudson Street Hooligans" marched into the stadium singing chants and passionate groups of fans stood on their feet the whole match, watching and cheering with intent. For myself, the action on the field that had never translated well on television, but it was evident and captivating in person. The experience as a whole though is what won me over. The fans in Columbus, they cared. They weren't glued to phones, caught up in idle conversation or constantly getting up to get hot dogs for their kids. They stayed till the end, not departing early in soccer's equivalent of a 7th inning. They were engaged, interested in the game, and giving it their full attention while loudly extolling support for what wasn’t just the home team, but their team. The best part: they didn't just love their club, they loved their city. "For Columbus," they proudly proclaimed. 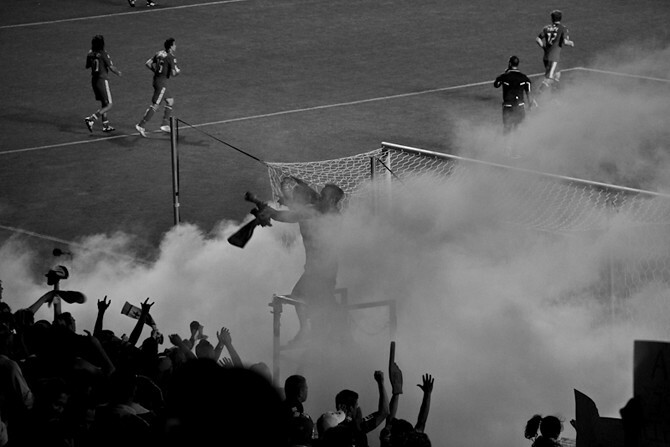 - The "Section 8" supporters section in Chicago circa 2011. Ronny Salerno. Later that summer I was in Chicago and had the opportunity to catch a Chicago Fire match. Again, the atmosphere was much more engaging than any other live sporting event I had attended. I left our seats to wander over to the supporters section. Flags waved, smoke bombs erupted and raucous cheering ensued with a Fire goal. On the opposite side, a second supporters group helped echo the passion throughout the suburban stadium. I became very interested in Major League Soccer and soccer's growth in America. The Internet provided a window into the fan culture surrounding the teams of America's top league. Seattle fans packed an NFL stadium while Portland fans produced beautiful videos that documented their passion. I love Cincinnati. I love its history. Oftentimes, those two things bleed over into professional sports. I stand by the Reds, I observe the Bengals and I'm fascinated by the stories of the Royals and the Stingers, our departed NBA team and best shot at an NHL team respectively. Then there's the minor league teams, so many of them and so many great stories involved. I saw the Silverbacks at the Gardens, ended up at a Kings game one time, vaguely remember a Riverhawks match up in Kings Mills and was fascinated by "The Kids," a 70s indoor team owned by Pete Rose. Pro soccer in Cincinnati hasn't been as ambitious or adventurous as minor league hockey and basketball, but that has now changed. - Rendering of Paul Brown Stadium in Cincinnati made while speculating about the city's ability to potentially host an MLS club. The article was penned for QC/D back in 2012. In 2012, I speculated about Cincinnati’s ability to support an MLS team. I loved the idea of the Queen City joining a rising, progressive sport and league where fans could be so involved and promote their club, as well as their city, in ways that NFL tailgates never will. 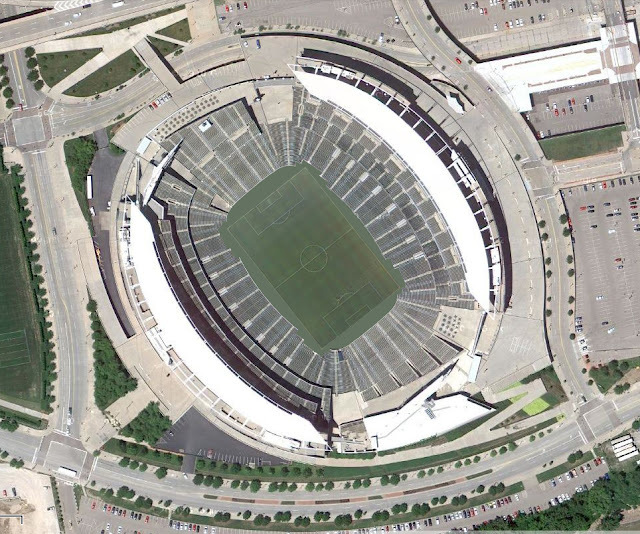 In fact, various groups had once tried to bring the MLS here, but the effort never seemed to go far or make much news. 1. 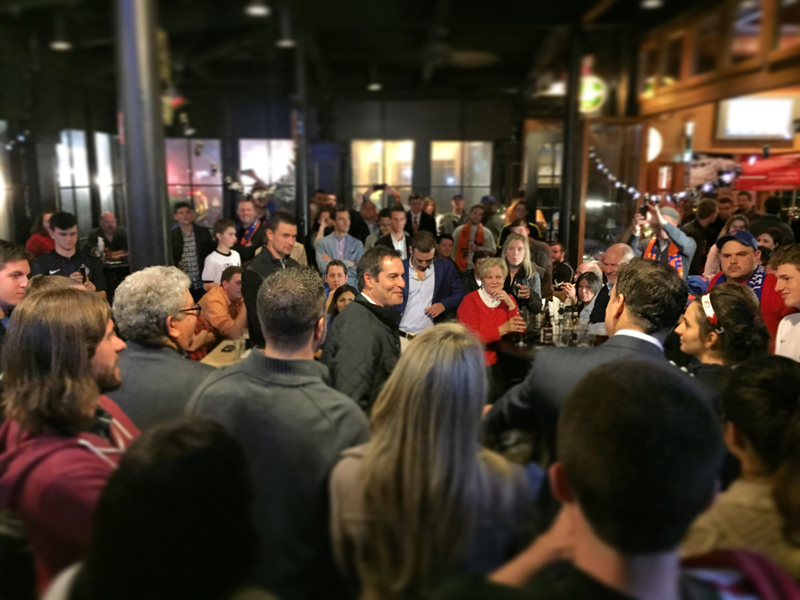 This team could become the start of something bold and new, and now I have a souvenir to support that venture. 2. They could come and go in the vein of so many other local minor league stories and I’d have an original piece of nostalgia. However, It was clear from the get go that this was something different. Some were dismissive and skeptical while others reported with detailed interest. Many questioned the initial marketing efforts and cheesy promotional videos. The details continued to roll out: FC Cincinnati would play at recently renovated Nippert Stadium, traditionally the University of Cincinnati's historic gridiron American football venue. This was going to be a team in the United Soccer League - a league featuring Louisville City FC. I had been following Lou City's development with great interest. Fans were packing Slugger field to support their club in its first year. Down there, it seemed to be going great and I was excited to see FC Cincinnati land in this league. What was happening in Louisville had also been happening in places like St. Louis and Sacramento. In a third rung league, although one where many clubs are directly tied to the top tier MLS, fans were rallying. Then there was the bombshell, FC Cincinnati's top goal: reach MLS, America's top soccer league. If achieved one day, Cincinnati would have a third major league sports franchise. This wasn't going to be another fly by night indoor team, this was a group with bold plans and featuring a solid financial backbone in Carl Lindner III. Yes, Cincinnati's team hadn't even signed a player and barely had a website, but already had a reported billionaire behind them. Sponsorships were announced. Jersey's weren't sponsored by a local used car dealer, but by Toyota. The head coach: John Harkes, formerly of the US National Team, MLS, and English Premier League. These guys weren't messing around and as Wrong Side of The Pond reported, they had "lofty ambitions." 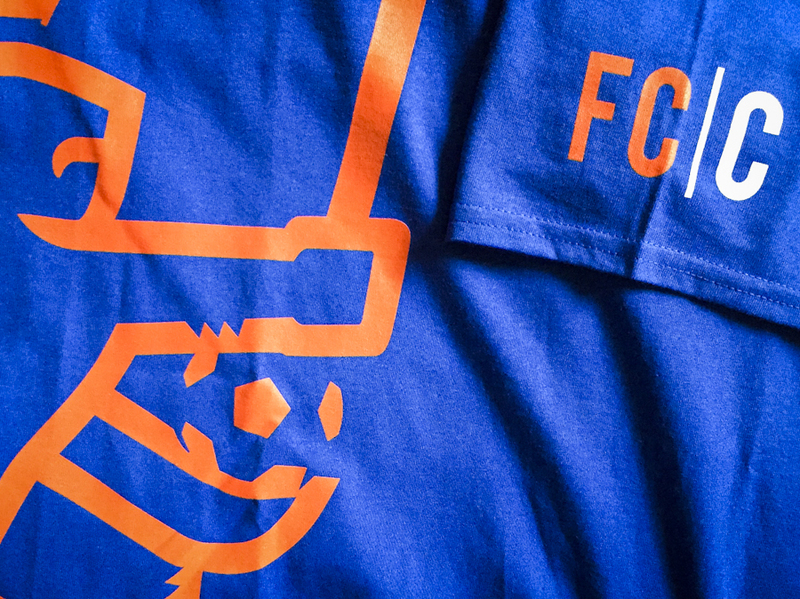 - The FC Cincinnati logo. Via FC Cincinnati Twitter. I was excited, very excited. I loved the idea of pro soccer coming here. I loved the idea of seeing the success of places like Louisville replicated. I loved the idea that Cincinnati could potentially secure a third major league franchise. I loved the idea that ownership was solid and that there seemed to be a plan in place to really push this thing. I loved the idea that there was something we could rally behind, something that reflected the city's evolving progress. Despite criticisms from more "traditional" American soccer fans, I put down money for season tickets along with some friends. We kept watching developments and went to a “meet the players night” after the first signings were announced. - Head Coach John Harkes speaking to the crowd at a "Meet the Players" night. Ronny Salerno. The crest features the wings from the winged lion of the club's logo. They adorn a shield which is backed by the sword and river wave's of the city's flag (changed to orange to reflect the team's colors). "Juncta Juvant" is borrowed from city's motto declaring "strength in unity" and it compliments iconic elements of the city's skyline (Great American, Carew, and PNC towers with Music Hall, the Taft's Ale House spire, and St. Francis of OTR) - all held together with the Genius of Water from Fountain Square and elements of the city's seal. Ryan has done the hardest work so far. He's the one organizing events and pulling everything together - the one who came up with the idea to meet at Rhinegeist before matches and then match up the Ohio Ave. steps for games. He's the reason that in just a few weeks time over forty folks were able band together and get behind his idea of Die Innenstadt. Yet, everyday more and more people continue to join and contribute. The community is growing. Frankly, I can't wait to be a part of it on that first match day. - (TOP) My friend Matt donning an FC Cincinnati cap and Die Innenstadt pin. (BOTTOM) A small sampling of those who came to the first meeting at Rhinegeist, since then memberships have grown substantially. 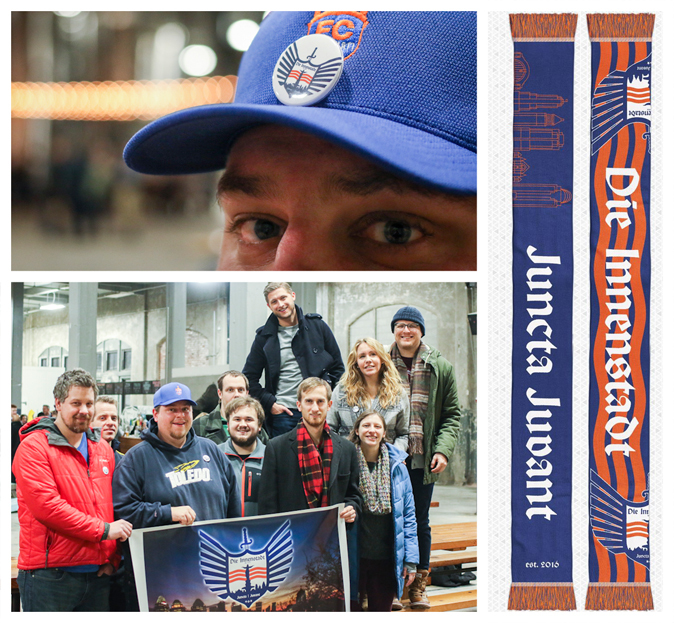 (RIGHT) The Die Innenstadt membership scarf designed by one of our members, Christina Koplay. The debut of FC Cincinnati in my opinion is seismic. It represents something new coming here, in the same way the city has continued to reinvent and grow its identity over the past decade. It's progressive, bringing in a high level of a sport that's growing throughout the United States. I'm hopeful that this city will get to experience the kind of environment, the kind of fan support and the kind of pride that's developed in places like Louisville, Sacramento, Columbus, Portland, and so many others. It's growing a community, evident in the way Die Innenstadt was formed and continues to evolve. It's ambitious, hoping to bring the highest form of American soccer to a city, to bring Cincinnati another major league team. The often criticized announcement video did get one thing right: "soccer is rising, so is Cincinnati." Whether the Queen City joins MLS in the future or not, soccer and Cincinnati are now bridged by FCC. Without even a match being played, strong support has developed and people are banding together not just to support soccer's growth or potentially another major league franchise... but to support Cincinnati. So soon we'll March to Nippert in support of club and City. If you'd like to join us, you're more than welcome to, just check out the information at the end of this post. Die Innenstadt will be hosting an event at Rhinehaus Wednesday evening. Join us at 5 PM to watch FCC take on MLS' NYCFC in a preseason game live from Florida. - Die Innenstadt Facebook, Twitter, and Instagram. - Sixth Day Soccer - David's excellent work takes a look at how FC Cincinnati is developing. - Wrong Side of The Pond - an excellent news source for soccer happenings at home and across the country. 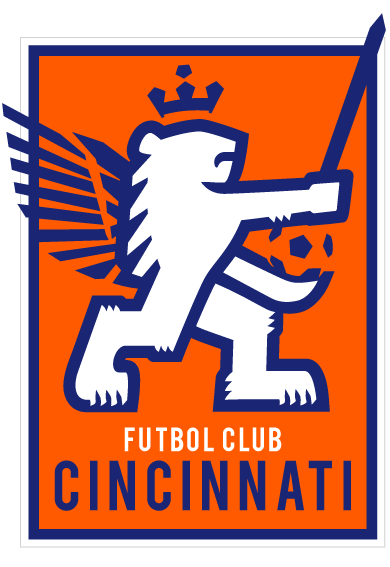 FC Cincinnati was admitted to Major League Soccer on May 19, 2018. I had the opportunity to watch it happen. gawwwwdammit Ronnie, I always hated soccer and now you have me interested. When F1 used to run at Indy one of the things I loved was watching the various fan clubs walk around in costumes, face-painted, chanting and waving flags. I might go to games now just to see those spectacles. And put me down for a Die Innenstadt ball cap! As soon as we get some more merch I'll let you know! Seeing the game in person changed things for me. You'll have to come join us for a match! The writer of this article nailed it. You have me incredibly excited to join this whole thing! 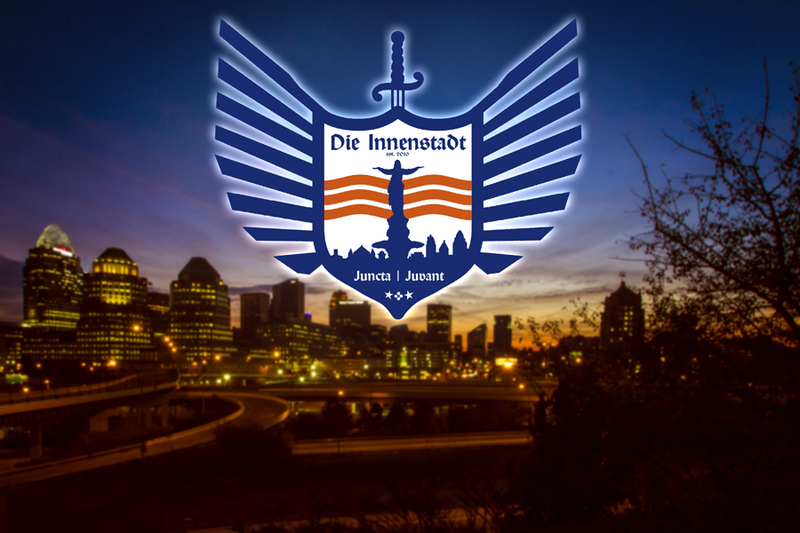 The scarf and execution for Die Innenstadt are on point. JUNCTA JUVANT! We don't, we don't, we don't mess around, HEY!